Current urban and suburban home development means smaller homes on smaller lots. This type of urban planning has put a premium on storage space within these more compact homes. As our culture learns to live in tighter quarters, everyone looks for ways to maximize the use of their space and reduce clutter. 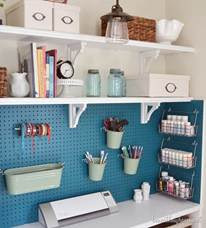 Popular areas for storage solutions are in closets, kitchens, laundry rooms and home offices. Below are a few ideas for space saving storage solutions in your home. 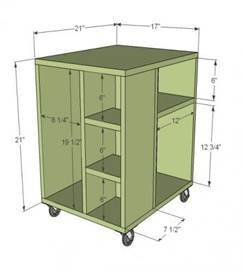 Rolling Carts: Rolling carts can be an excellent way to maximize storage in small spaces. When you add castors to a cart of any size, it allows you the flexibility to move your storage as needed. 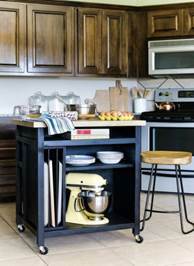 Below is one example of how a rolling cart can improve storage space in your kitchen. 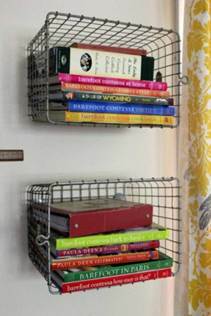 Hanging shelves: Attaching shelving to the walls allows you to use space off the floor for storage. 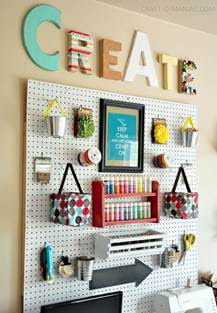 You can use unconventional means of storage such as the wire baskets and peg boards pictured below. This also adds visual interest and design in your space. 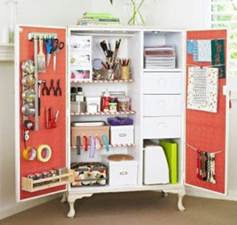 Armoires: An armoire can be a fantastic way to organize your home. They are a stylish piece of furniture to add to any room in your home, and can hold many forms of organization on the inside. 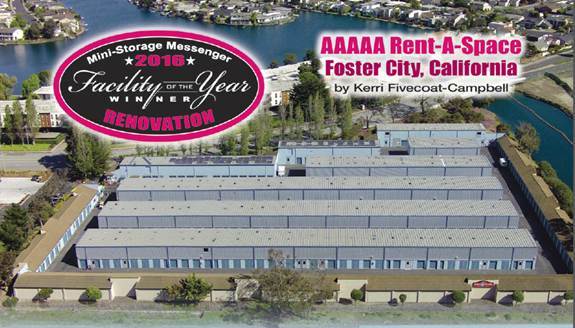 AAAAA Rent-A-Space is proud to announce that our Foster City site has won the 2016 Facility Renovation Of The Year award from Mini-Storage Messenger Magazine. 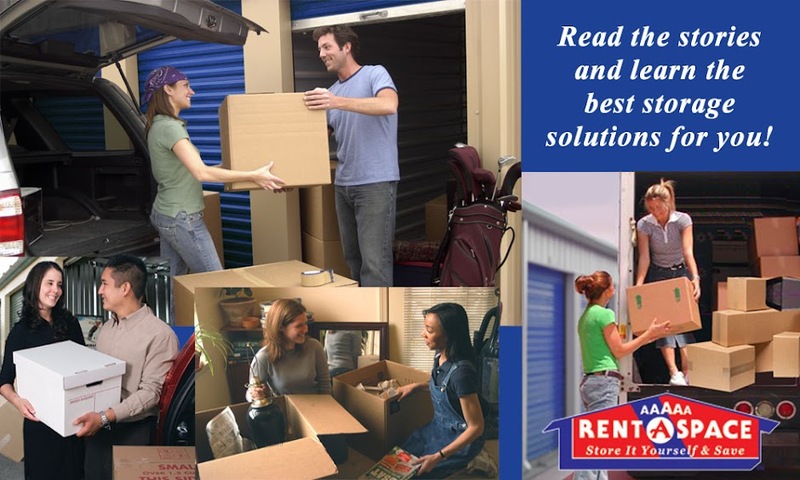 Mini-Storage Messenger has been the leading publication in the Self-Storage industry since 1979. 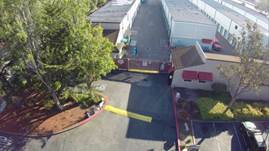 Since 1976, the beginning of 5A’s facility in Foster City, we have overseen many changes to not only our facility, but to the cityscape around us. One of the challenges of our renovation was turning outdated looking buildings into “eye-popping, welcoming, modern self-storage structures.” (Fivecoat-Campbell, Kerri “AAAAA Rent-A-Space Foster, City, California”. Dec. 2016: 48. Print). To accomplish this, our owners decided to use strong ribbed metal panels over the stucco to add texture and reflect a 21st century, high-tech feel. 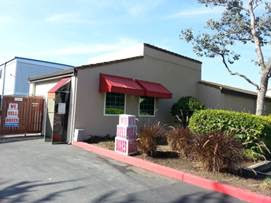 GT Aubert Construction added high quality, 24 gauge seamless rib roofing that will help stand the test of time. 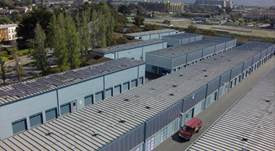 Our facility now has Solar Panels, which will allow us to run our business more efficiently. 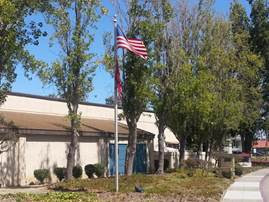 The paint on the buildings inside the facility was updated to a soothing blue color as well as updating and installing 600 new blue roll up doors to units throughout the facility. Our on-site Managers, Marisa Boldt and Roxanne Porter were key players, helping to keeping our tenants updated on the progress of our site remodel. We would like to thank Mini-Storage Messenger for this award as well as GT Aubert Construction and Galen Grant of FCGA Architecture Firm, in the renovation process. A great New Year’s resolution is choosing to de-clutter and organize your home. It can be overwhelming deciding where to start, so here are a few tips to help you along in the process. Start small. If you try and tackle your whole home at once, it will feel overwhelming. Start with one room or even one half of a room. Accomplishing smaller goals will help you feel successful and capable of tackling bigger projects. (1) Have I used this item in the last year? (2) If I were shopping right now, would I buy this? (3) Is the only thing that’s keeping me from tossing this item is that I don’t want to waste money? (4) Am I holding onto this item for sentimental value? (5) Do I have a similar item that serves the same purpose? (6) Do I have a realistic plan to use this? (7) Does it fit me or my living space? (8) Am I holding on to this broken item to fix in the future? (9) Ask yourself if you really need something. If you hesitate, you don't. (10) When you buy something new, practice the "in-out rule:" For every one new item, get rid of an old one. Keep items that you use on a regular basis, and that serve a purpose in your home. Donate any items that you haven’t used or worn in 6 – 12 months. Lastly, throw away items that are worn out or broken. They no longer serve a purpose in your home, are just taking up much needed space – and adding to your clutter! 3. 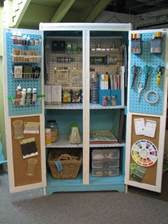 Invest in storage containers/and an organizational system to keep your belongings organized. 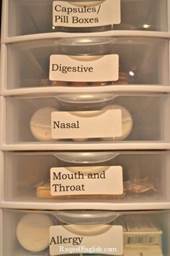 For example, using a clear plastic stackable storage tub to hold medicine. 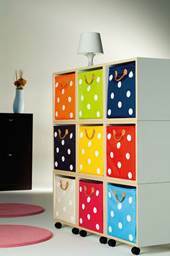 You could also use a plain shelf bought from Ikea and add colorful cubes to store children’s toys, books, etc. When de-cluttering and organizing your home, remember to keep things simple. Bringing Organization to your home is meant to help you find your items easily, thus making your home a stress-free environment. 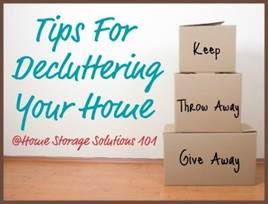 For more tips on de-cluttering and organizing your home, click on the link below.